I don't want to use image for the button, because i will have to make at least 5 images. Is there any way to do this with css? I followed the advice of marmite and solved the problem. ASP's button probably does not like the :before so i included it in a div with css class bon and styled it properly to have the outcome that i wanted. Doing so, i can use the asp's function without having to change the way it works. How to make section be tall enough to store data (fullpage.js)? CSS Flex Box — flex-wrap:wrap; How to style a specific line? How do I get a div to change the max-height upon window resize? How do I add a div under a right floated div? How can I add a consistent left margin to a checkbox label? How to format HTML/CSS to align with single word in sentence? How to make parent div above child div without position absolute? How to make smooth animation in css? How to cut divs both ways to keep the objects in center? How to show hidden div in the same line as the paragraph text? How to make the float left and float right on the same line? 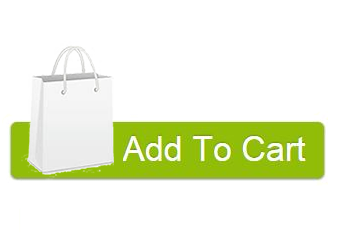 How to add html in language file of opencart 2.0.1.1? How to override CSS code with a new class? How to make divs appear and disapear on hover in css? How to use sprite image in css? How to select “label for=list” in CSS? How do you find the dimensions of a “display: none” element? How to show CSS transitions only on hover? How to change 1 out of a menu/model thing with css instead of a whole model/menu? How do I make the background fit the full size of the screen no matter what size the monitor is? how can I reload a “CSS background-image” each time I hover on it? How do you tell a browser, “if you need to wrap, wrap here first”?